Max. Child Height: Up to 52"
Rear-Facing 14-40 lbs., Forward-Facing 22-85 lbs. Easily removable seat pad for cleaning; with simple snaps there is no need to rethread harness! 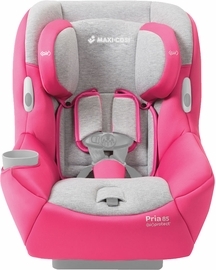 We LOVE maxi cosi! We just purchased the Rachel Zoe edition and I�€™m in love! My daughter has grown up with maxi cosi. I have a special needs 6 year old who doesn�€™t have the best trunk support and this car seat is even better than her �€œadaptive�€ one. This one is super padded and holds her head in place extremely well. 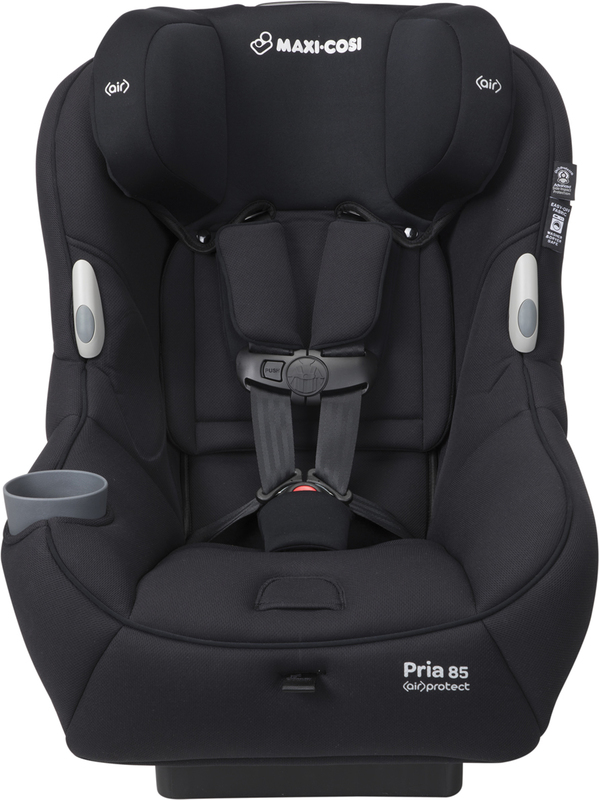 I love the added strap holders on the pria 85, and this has the best recline on ANY car seat we�€™ve tried! A long time customer of maxi cosi and a forever customer! Love love love! My daughter loves this car seat! She always tried to get out of her old one , but she loves this one ! And it�€™s super cute! The comfort - look and easy to install features are unmatched! Great car seat for toddlers and up! Accommodates up to 85 pounds, is durable and sturdy. Beautiful color. 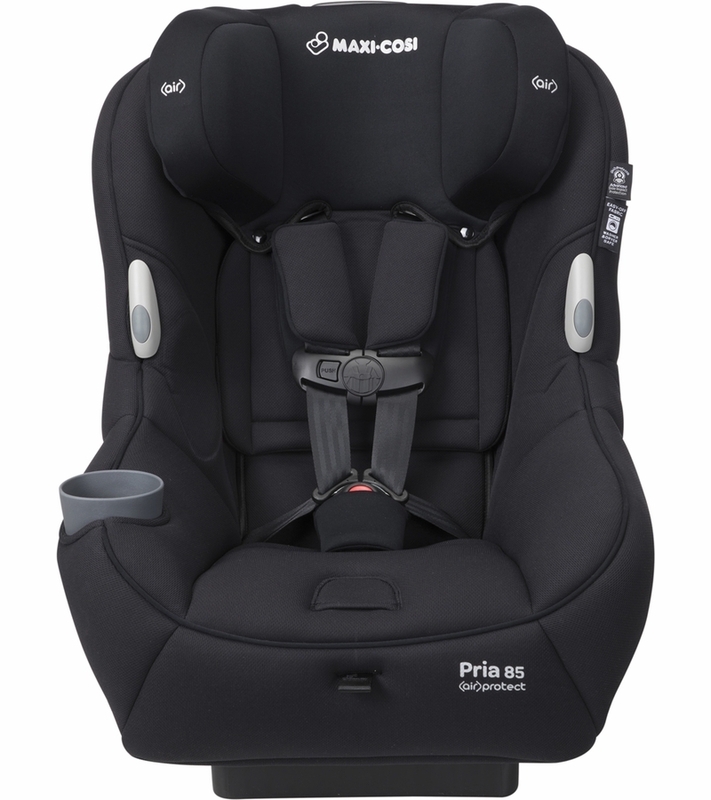 This is not the car seat to buy if you are looking for portability, but if you are looking for a sturdy car seat that can accommodate infant to toddler at a reasonable price point, this is a great option. Excellent ratings, bought this for my grandson so I have my own car seat. Easy to attach and very secure. Easy to hook up and easy to buckle him in the seat. This car seat was in the top 10 for price and safety. ConsIts heavy, but once it?s hooked up it won?t be moving it. It's so easy to clean this seat cover! It's a beautiful color and the material is high quality. The seat is comfy and sturdy. Overall easy to install in our cars and not too heavy to switch between cars if necessary. 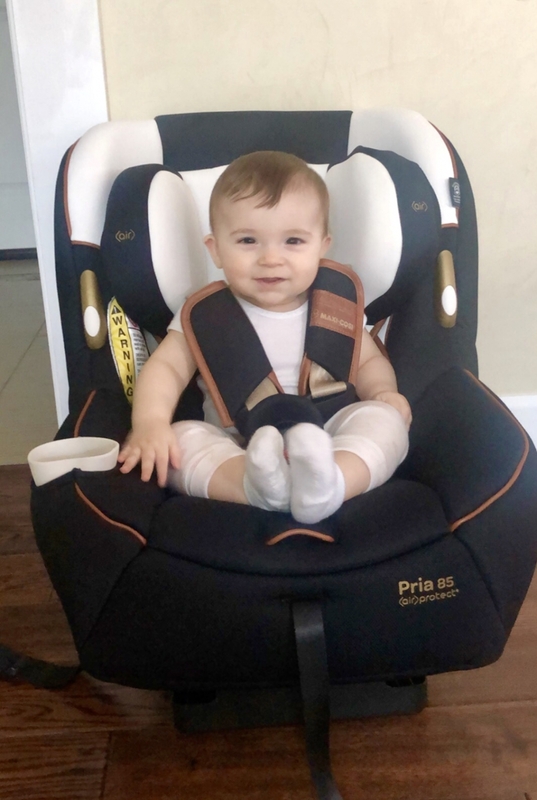 My babies love both the pria 70 and pria 85 seats we have! I love that I don't need to uninstall to remove/replace the cover or to adjust between my different size/age babies/toddlers. It's just so convenient!! Very spacious but the seat belts are short if you child is wearing a jacket. The pattern is nice and unique. Even though it's white, it does not get dirty easily. Overall it's a great product. My child very like it this car seat. Car seat is soft and there is a lot of space for a child. I just recieved and installed my daughters new carseat. Was a little tricky to install but overall fine as long as it keeps her safe! Absolutely love the color and pattern! 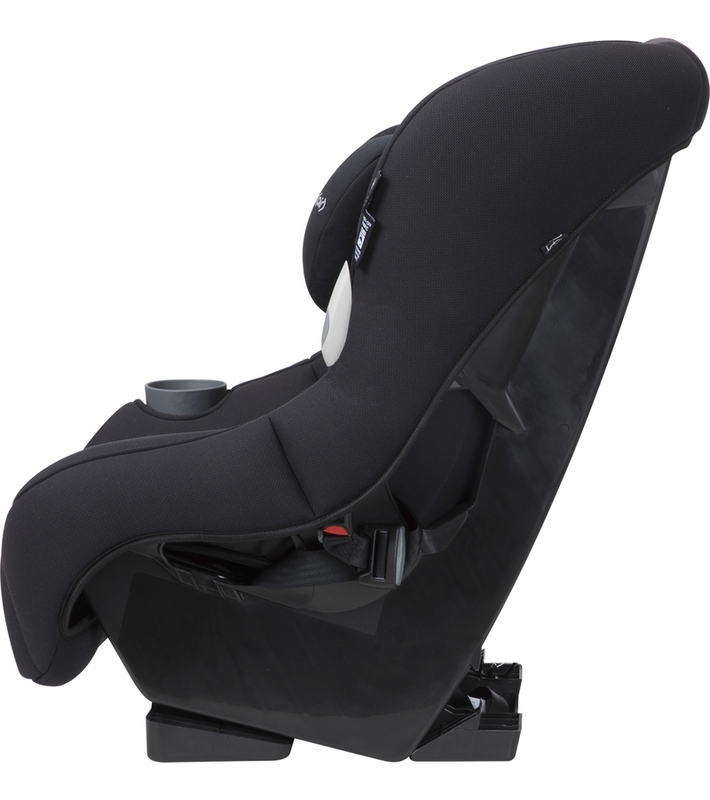 My son loves this carseat, and I am impressed with its sleek look, ease to clean, and ease to install. We have been tried so many different top brand car seats for my son when he was 10 month old. He did not like very straight-back car seat and always prefer a comfy one. He loved this one the minute we put him inside . He seemed like relax and right away loved to stay in more long time. After we put this one inside my car, it becomes the most comfortable place outside his crib/bed. He always felt on sleep during long trip. He could sleep on for 3+ hours when he was less than 2 years old. We did a lot of road trip where he could have a great sleep on this car seat. In general, it is a very comfy one and has a good quality. I am buying the second for installing in my husband's car, so that it is easy for us to drop off/pick up my son from daycare. ProsVery comfy for small kids ( <1 year old). 3 angles (1,2 for backward facing, 2,3 for forward facing) is easy to adjust. Also very easy to clean as advertised. ConsThe one drawback is because of the very comfy material, it is a little hot in the summer, but it was very nice for the rest of the year, especially in the winter, we never worried that my son would feel cold in it. The second small defect is also come from the material, after one and half year, it start to have little pills but you won't feel it. I guess it is because of the this special blue color. Oh, I forgot, it is a little big as for space wise. 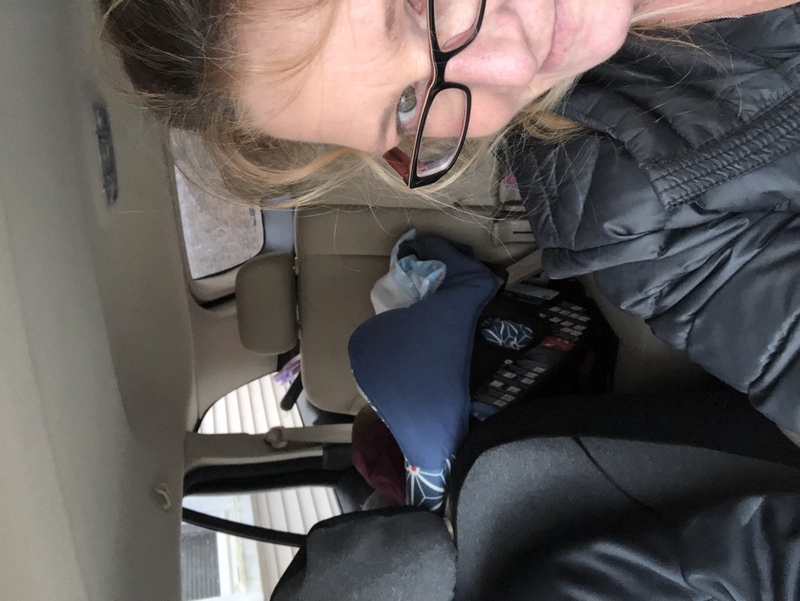 2 adults plus this car seat at the back seat is very crowded even I am driving a mid size SUV. 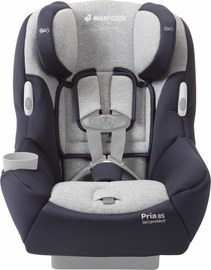 I bought the Pria 85 because I thought it was one of the safest car seats on the market. Do to all the padding and it just felt sturdier than most of the other car seats. This is my second Pria 85 the first one was replaced under warranty do to straps being difficult to tighten and fraying. The return process was simple and customer support very nice and helpful!! Customer support informed me that the mechanism was completely different on the "new" model. When I received the new one it was the exact same. Over the course of the last year it went from hard to harder when tightening and loosening the straps and have begun to fray once again. It has became so hard to tighten the straps when my mother watches my daughter she can no longer safely secure my daughter in the car seat. I will be reaching out to Maxi Cosi today to see if there's anything else that can be done if not I will be going with a different brand. 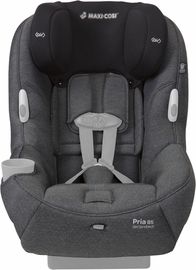 After LOTS of research I chose the Maxi Cosi and found the best price at Albee Baby! I�€™m very happy with this car seat, especially since my little one is not the best car rider. The seat is very plush and comfortable. 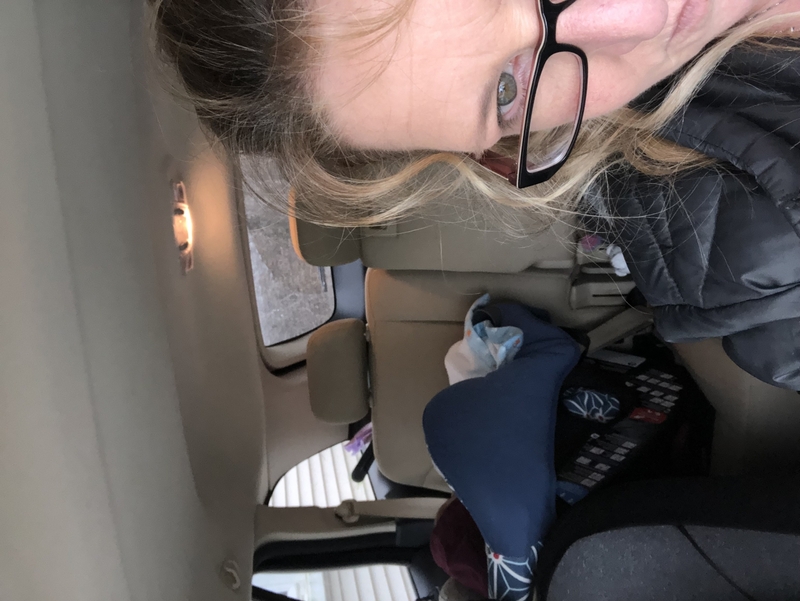 It does sit higher up than other car seats that convert to a booster seat so if you have an SUV you do have to lift your children up higher, but if you have a car or CUV this wouldn�€™t be an issue. I love the easy snap removable machine washable cover and cup holder!! Had this for 3 years now since my kid was 2 yo. We take it traveling with us all over the world - checking it in when we fly. Never had a single issue with it. Durable, high quality construction. Comfortable, easy to use, and get kid in/out of car. She feels sturdy in it, and I have peace of mind. Fits in the middle seat of our tiny VW Rabbit. Worth the money! It's an excellent choice! Thanks! Love this seat! The cover is so easy to remove and wash. I don�€™t even have to take the car seat out, it just slides right off and back on. The seat is so comfortable and has great safety ratings. I love this seat! It's perfect and worth the extra money! This is the best car seat. It's so easy to install, and keep clean. I'm so glad it works until 85 pounds so we can continue to use it for a long time. The attached cup holder and the ease of the seatbelts are wonderful . Plus the seat looks comfy ! About 4 years ago we bought this seat for our daughter. She hated traveling and there was nothing we could do about it. She would cry and scream. It was a nightmare trying to see family and friends that lived far away. So I started doing some research on car seats and this one was the best for children who hated to travel. Of course I was skeptical but I went ahead and bought it. This seat came in just in time. We had a funeral to go to that was a little over 2 hrs away. Let me tell you. From the moment she sat in the seat until we got to the hotel, she slept. It was music to our ears! We have not had a problem with travel since. Now we have a 4 month old and are using the seat that was in my mom's car. He loves it so far (and he's not a great traveler either). I'm so happy I found this seat! Comfy but will not protect your child. We had this carseat for 1 month before we noticed it was extremely hard to get it tightened safely. The last time we put it in the car we could not get it tightened at all and figured out that the plastic that holds the seat to the base was snapped. We took very good car of this carseat in the short time we had it, only removing it once from our car after the initial installation. 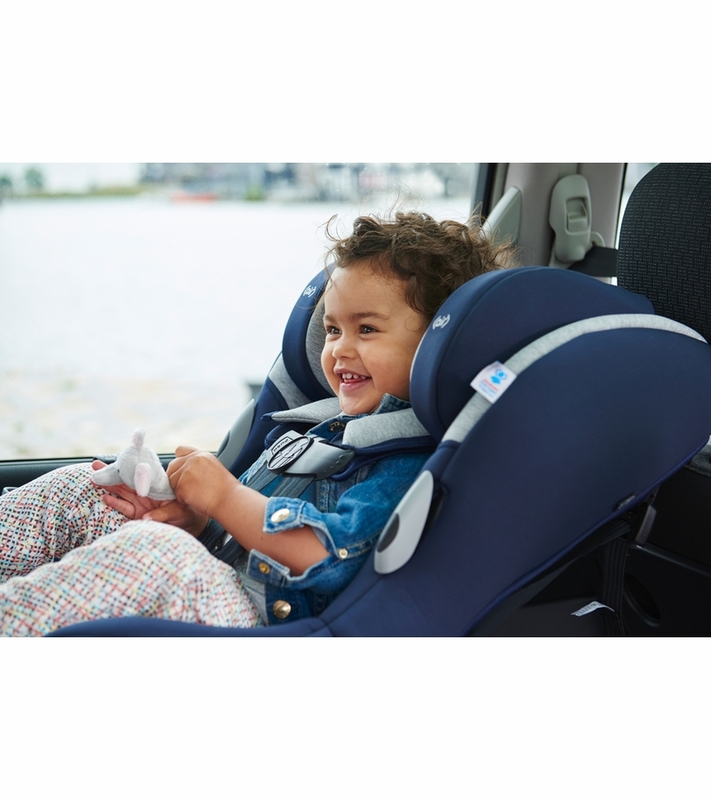 when we first had our baby we bought the infant maxi cosi car seat, we knew when the time came, our convertible car seat would be the same brand. This seat was easy to install, amazingly comfortable for our kiddo and a breeze to clean, the only thing that was a little difficult was tightening the chest straps, but once we figured out how to do it, it reassured us that it was not coming any looser throughout our ride. Absolutely love this product! My son loves his seat and it is so comfortable for him. We have had it over a year and haven't had an issue yet. 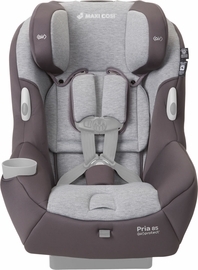 This is the second Maxi Cosi Pria 85 that I buy and once again I am very happy with the product. The first one I bought for my daughter and now when it was time to buy a car seat for my baby boy I had no doubts which car seat to choose. Besides the safety and user friendly features, it is so nice to have the option to take the cover off and wash it because children know how to make a mess sometimes. Really happy with my car seat choice! Car seat broken after 9 months of use. We were given this car seat as a gift, and were pretty happy with it until an internal piece of plastic came loose (we found it when using the strap release button). Since then we notice the pull strap that tightens the car seat is shredding, and can no longer pull the straps as tight as they should be. IThe car seat only comes with a one year warranty based on purchase date, even though the car seat has only been used for about 9 months now. It makes me highly skeptical that a car seat (an item that we are relying on to be safe), would break for no apparent reason after such light use. We don't move the car seat, and it has never been in an accident. Clearly this is a defective item, which is unacceptable. We have two of these for our kids and love them. Only minor complaint is the difficulty of adjusting the straps. It's really hard to pull the straps looser or tighter. Otherwise, this carseat is amazing and my kids love them. Also, love that it is up to 40lbs rear facing. My daughter is almost 4 and still rides rear facing. So much safer for them if there is an accident! 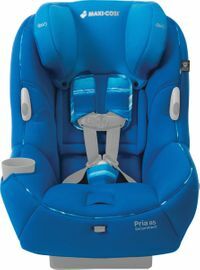 We love this our Pria 70 seats because of the ease of use and how comfy they are for our twin girls. We switched them into these at 10months and intend to use them until they are 70lbs. Easy to clean! Pull it off and put it in the wash. Cute, comfy and also safe. I love that I can have her rear face to 40 lbs and front face to 86lbs! Literally won't need to buy another seat as it transitions w her. My son loves this seat! Its very comfortable and the cupholder is great for a sippy cup. It is really big though so if you have a tiny car it will take up half of the middle seat too. We just bought another one for our youngest and he loves it as well! I have a smaller SUV and was wanting something compact enough so my passengers can still ride comfortably. The car seat fits great, baby seems to be happy, and it's a safe ride. ConsThe crotch padding is a little big and the red button is a bit stiff to release. We have had our seats for a little over three years. There were many reasons we chose this seat but I liked that this seat had longevity to it and would last up to 85 pounds. I did not want to have to buy yet another seat as my son got older. I also really liked that it was one of the few seats you could machine wash. Unfortunately the fabric on all three of our pria 85 seats has torn. We are very particular and careful with our belongings and are disappointed they don't hold up for the time suggested a child uses a car seat. 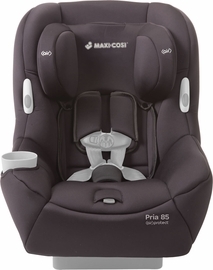 Maxi cosi was the only seat that my older child would seat in when he was transitioning from the infant car seat so when it was time for my younger child to make the transition, I just stuck with tried and true and bought these. They are easy to install, take off the fabric and re-install. The kids definitely look comfortable and safe in them. Lasted about 7 months. Over time it became very difficult to adjust the straps. They were always sticking and difficult to loosen & tighten. Eventually it became pretty much unusable. I couldn't loosen the strap at all. It had become frayed. Also, there is a little plastic piece under the cover, near the button, that keeps the strap in place. That plastic piece had completely broken and probably contributed to the fraying since it was not doing it's job keeping the strap in place while the strap slides. Piece of junk. Not safe. The Product is well design and built with good material to provide great comfortable . The straps are extremely pliable and therefore are constantly getting twisted in the chest clip slide part. My old car seat could not fold in half and flip around in the clips like this one. One of them is also starting to drag after 3 months of regular use. 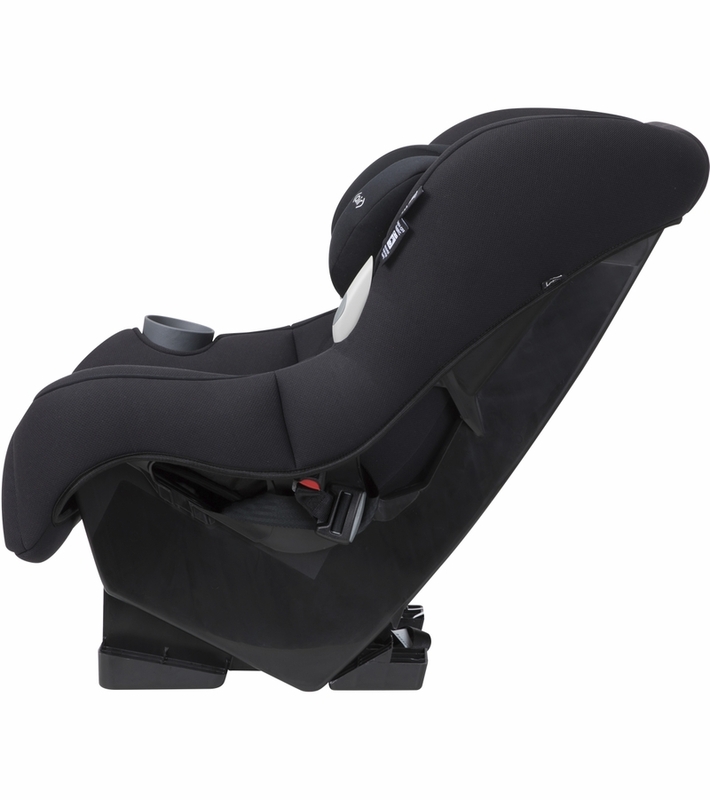 We really like our Maxi Cosi! It fits great in our smaller vehicle (Chevy Spark) and is super easy to install both with seatbelt and click tight. It has a perfect recline and appears really comfortable. It also seems to allow enough airflow. I gave it 4 stars because the straps seem to loosen a bit after driving around. 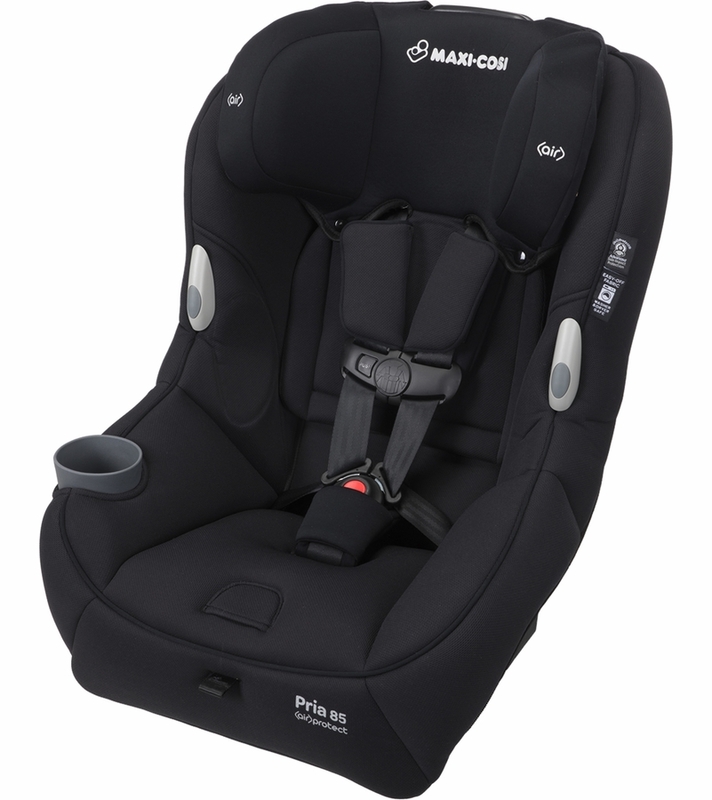 I have contacted MAxi Cosi and just need to send them more details. Sometimes it happens and sometimes it doesn't. So I'm not sure if it's user error or not. 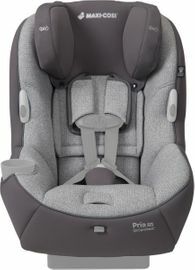 Purchased the Maxi Cosi Pria 85 Convertible Car Seat - Jet Set by Rachel Zoe for my daughter. Love the car seat, its super comfortable and trendy. Highly recommend. I am not happy with this car seat because it's very hard to install. I'm installing it rear facing, using latches and its very hard to tighten the seat. I have to take my car seat out of the car often and I hate to do that as it's very hard to install it back. Most of the time my car seat is flimsy because its latches can not be tighten. I wish I can return it and get my money back for such an expensive waste. 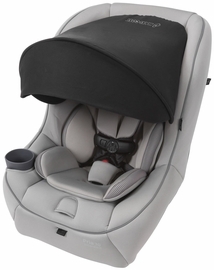 I had Britax car seat for infant and it was extremely easy to install as, it had mechanism to tight it. 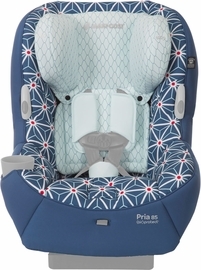 With pria you need to pull the latch yourself, however the angle is and position of a seat make nearly impossible to pull it all the way, so there is always a room for seat to wiggle around, and I feel that this is not safe. I tried two kinds of car seat last 2 years. And this is third on. I really satisfied about this one. High recomendation!!! Great purchase, my little guy loves it! My fussy daughter has never been a fan of carseats, but we did our best and kept her in her infant one until baby brother decided to arrive. When we received the Maxi cosi, I was pleasantly surprised! My daughter hasn't really fussed in it at all. She looks very comfortable, and she immediately knew how to use the cup holder. I love how padded the carseat is. And I especially love the strap holders. It makes putting her in her seat so much easier. This was an amazing purchase! 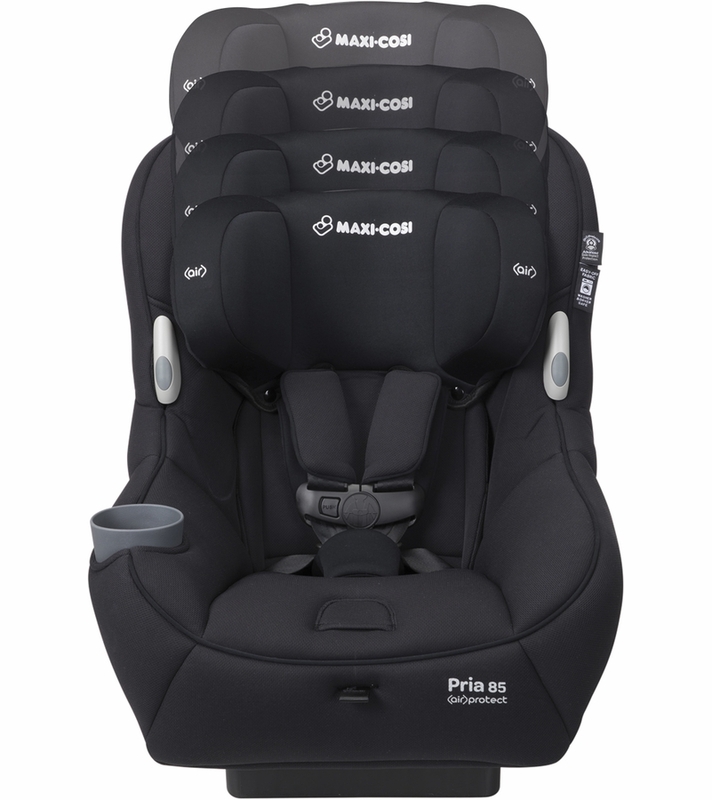 I love the maxi cosi convertible car seat. My toddler loves the seat and the functionality and ease of use is truly the best. I would recommend this car seat to ally Mom friends! Fast shipping , product just as described, & great price. This is not my first time ordering from Albee Baby & definitely not my last. I have been using this seat since my son was about 13 months old; he is now almost 3 1/2. He like the seat and finds it roomy (he is a big boy). I have washed the cover and pads several times without the colour fading, or the fabric aging. All the stains have always come out. None of the straps have frayed or deteriorated. I would definitely buy this again. Great car seat! Love the look and most importantly- it was easy to install! Wish I would have bought this seat a long time ago!